Since we are a “delocalized” team, one of our goals, when we started developing “Dead Synchronicity” was to design a perfectly functional collaborative workflow. It is our first game, so we were not “attached” in any way to any specific tool or software. That was great, as we could do some research to find the most appropriate tools, considering reviews, other developer’s experiences, etc… In fact, there are a lot of useful tools out there to plan a project, to track the progress, to share files and to improve communication (if you’re interested, we could tell you the options we chose). However, when you come to “story writing”, the options are much scarcer. And, oddly, a tool to write the story of our game was the one we were more interested in. Think of the story of a point and click adventure and you will notice how complex and nonlinear it is: multiple characters, multiple paths, multiple actions, multiple dialogue options, multiple items you can try on multiple items… Now think of a neat, logical way to write down all that information. Tricky, isn’t it? 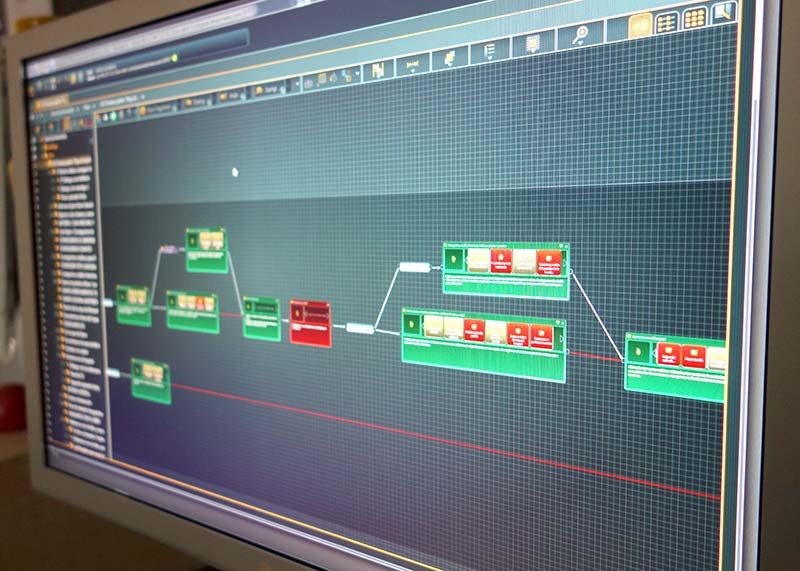 We found out that, usually, video game writers use basic tools such as mind-mapping software, spreadsheets and text documents, and then link the contents together. Some of them even use tools like Final Draft, more focused on screenwriting. But we could not believe no one had thought of a proper tool for that purpose. So we started our research. And we found some tools to write nonlinear dialogues like Chat Mapper, that looked nice. Eventually, we also found the tool we have been using since then: Nevigo’s articy:draft .